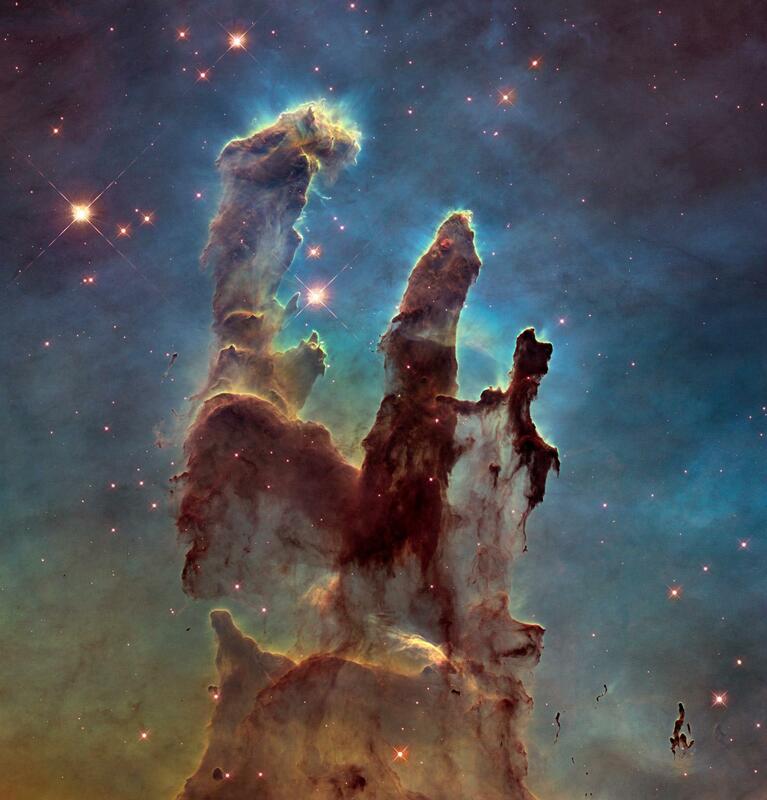 Hubble: Spectacular photos celebrating 25th anniversary. On April 25, 1990, the world—the Universe—changed. That was the day the crew of STS-31 deployed the Hubble Space Telescope into orbit. This magnificent observatory has a special place in my heart. When it launched I was in graduate school in astronomy, and had just received my master’s degree. I was looking for Ph.D. research, and my adviser mentioned he was on a project to use Hubble to observe exploding stars … and now, 25 years later this week, Hubble is still going strong, doing astronomy. And in my way, I am too. I worked on Hubble one way or another for a decade, including being on a team that built one of the cameras that was installed on Hubble in 1997. I’ve written so much about Hubble over the past 2½ decades I don’t think there’s much more I can say about it. At the bottom of this post there are links to some of my favorite articles. But I can still show you pictures. The sheer amount of science Hubble has done is stunning, but of course most people know it because of the gorgeous imagery it’s provided for a quarter-century. That’s no shock, and that’s just fine in my book. People need to know more about the Universe in which they live, and if Hubble is that gateway, who am I to complain? So let me show you what Hubble’s best at: spectacular, mind-expanding and brain-melting pictures. I was going to choose 25, but I feared Slate’s servers would burst into flame, so instead I picked 12½. Why that? Well, it’s 25 / 2, and it turns out I have a picture that kinda sorta qualifies as the ½. You’ll see. So here, let your eyes soak up the majesty of the Universe, and fill your brain with the joy of astronomical discovery. It’s gorgeous, isn’t it? All things being equus, of course. Just below Orion’s belt is the star Sigma Orionis, well over 1,000 light-years from Earth. It’s actually a pentuple star, a five-star system, blasting out as much light as 75,000 Suns! 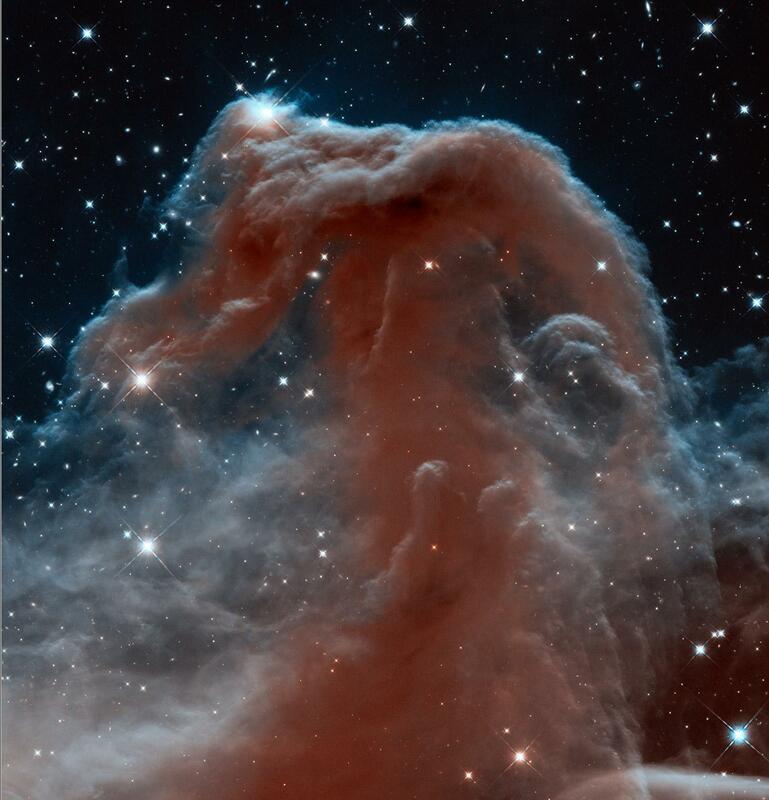 It illuminates and heats a ridge of hydrogen gas nearby, and the famous Horsehead Nebula is a thick cloud of colder gas and dust silhouetted against it, deep black in normal images. But using infrared cameras, Hubble sees light coming from inside the dust cloud, bringing out details within it. All those towers pointing up—and even the head of the horse itself—are illuminated from above by Sigma Ori, and in fact are being dissolved by its intense radiation. Like so many things in the Universe, we’re getting a snapshot of a beautiful object that is ephemeral; this too shall pass. However, the Horsehead is the site of ongoing star formation, so while the cocoon will eventually dissolve, the stars will live on for millions and even billion of years. A rose-shaped galaxy by any other name would look as sweet. 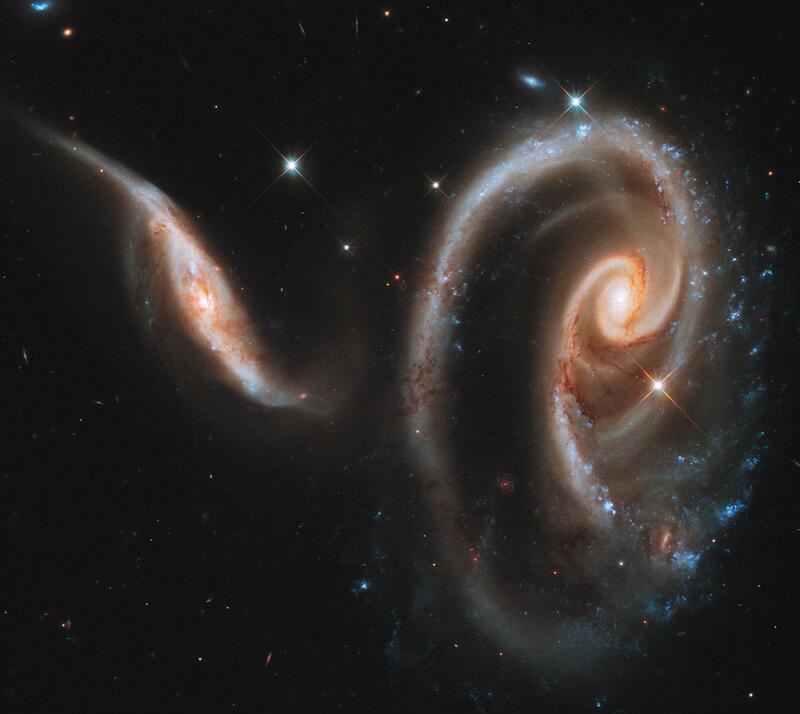 In the 1960s, astronomer Halton Arp catalogued more than 300 oddly shaped galaxies, many of which are interacting pairs, behemoths distorting each other through their mutual gravity. Many are physically colliding, dancing an eons-long performance that will end with them merging into one much larger galaxy. Arp 273 is just such a pair, 300 million light-years from Earth. The smaller one may have actually passed through the larger one, suffering tremendous distortion as it did so; gas clouds slamming into each other has triggered a burst of star formation in it. The bigger of the pair was also affected; the spiral arms are off-kilter and asymmetric, a common reaction to the violent encounter. Both have retained their overall spiral shape, but if they fall back together, that may be lost. But for now, and the next few million years at least, they provide this lovely sight. As I mentioned, I used Hubble for my Ph.D. work. 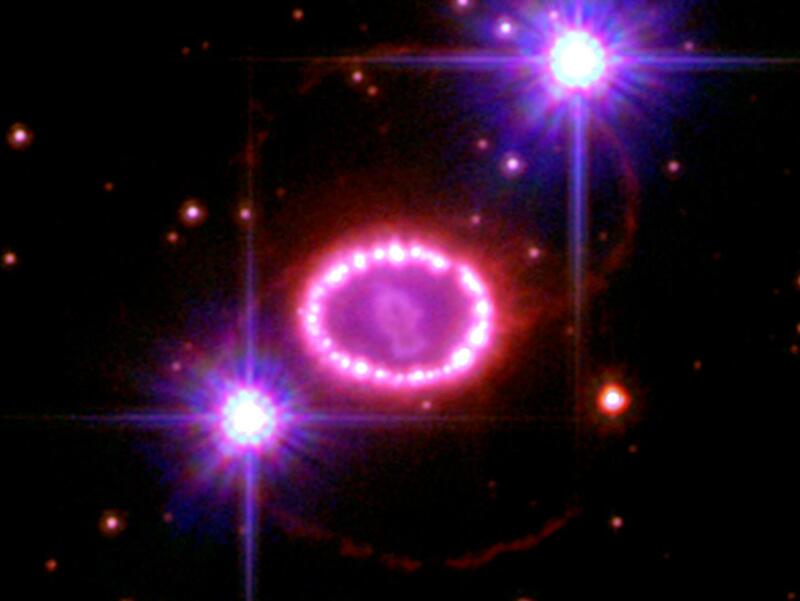 Specifically, I studied the star Sanduleak -69 202, which exploded and became Supernova 1987A. To be honest, I studied the ring of gas surrounding the star, lit up by the explosion. To me, the supernova was just the Universe’s biggest flashbulb, illuminating the stuff I really wanted to see. At the time, no other ring like it had ever been seen. The formation mechanism is still a mystery (though we’re learning more about it all the time). The two outer rings are much thinner and an even bigger mystery. This image was taken in December 2006, when the shock wave from the explosion was finally starting to hit the clumpy inner ring. Knots of denser material lit up, making it look like a string of luminescent pearls. You can even see the expanding debris from the supernova inside the ring, elongated into a fishlike shape. That material, moving at several thousand kilometers per second, will eventually slam into the ring as well … and then we’ll see some real fireworks. On a clear night, you really can see forever. Hubble isn’t a particularly large telescope, with a 2.4 meter mirror. What makes it special is that it’s in orbit, above our atmosphere that glows faintly (hiding faint objects) and blurs out smaller details. So when you take Hubble and point it at one patch of sky accumulating photons, what you get is sheer awesomeness: the Hubble Extreme Deep Field, a stunning mosaic made up of 2,000 separate images for a total exposure time of 2 million seconds, over three weeks! Gaze upon that picture, let your eyes wander. With only a few exceptions, every single object in that field is an entire galaxy, a mighty collection of billions or hundreds of billions of stars! Thousands can be seen here, yet this patch of sky is so tiny you could easily cover it many times over with the tip of your pinky at arm’s length. The Universe is vast and terrifying and magnificent beyond our ability to properly express. Some of those galaxies are more than 10 billion light-years away, and you see them as they were when the Universe was young. This image is a huge boon to astronomers studying the nature of the cosmos, but you don’t need to be a professional scientist to be overawed by it. If this doesn’t give you a chill, check your pulse. You may be dead. 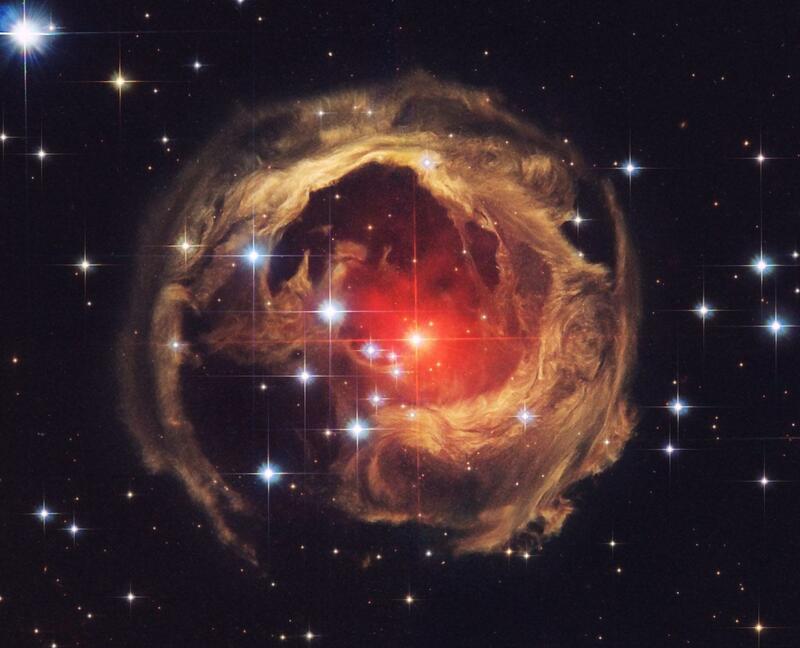 Of all the images Hubble has taken in 25 years, I sometimes think that V838 Monocerotis is the oddest. This star underwent an epic eruption, blasting out a huge cloud of dust. It’s thought that the cause was the merger of two stars orbiting each other; they spiraled in and then physically consumed each other, forming a single (highly unstable) star, which then erupted. At some point the star had another event, brightening hugely. A pulse of light was emitted, and as it swept through the dust cloud it lit it up from the inside out. This time-lapse animation shows that happening (with some interpolation between images to make the expansion smoother). You can almost hear them buzzing. 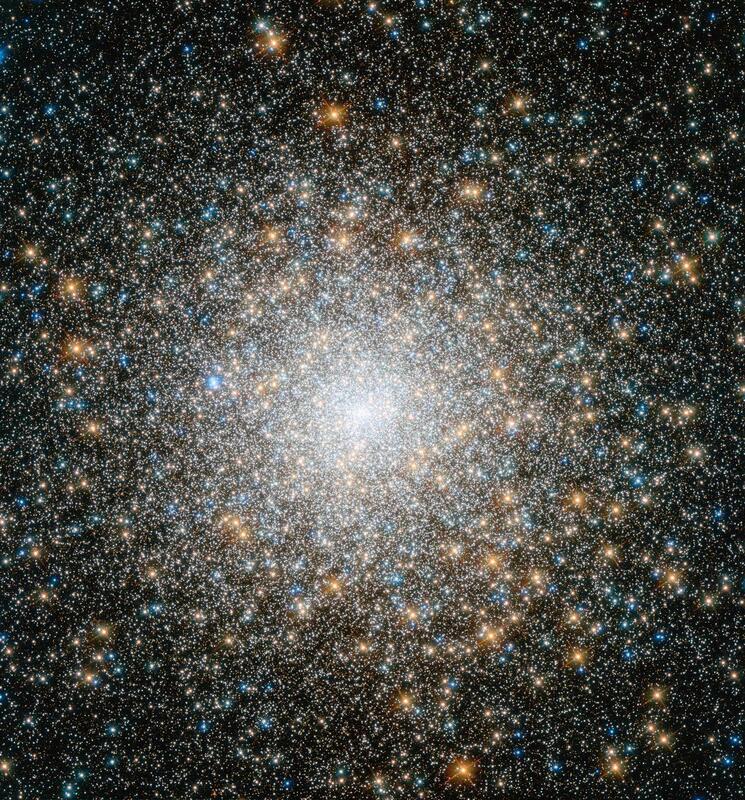 When I was young, hauling my telescope to the end of the driveway to observe the heavens, one of my favorite targets was M15, a globular cluster: A more-or-less spherical cloud of stars about 30,000 light-years away in the constellation of Pegasus. I could easily see hundreds of stars in it … but it has a hundred thousand stars in it, as this Hubble image gloriously reveals. It’s more than 12 billion years old, an ancient stellar city, and many of its stars have exploded or faded away in old age. 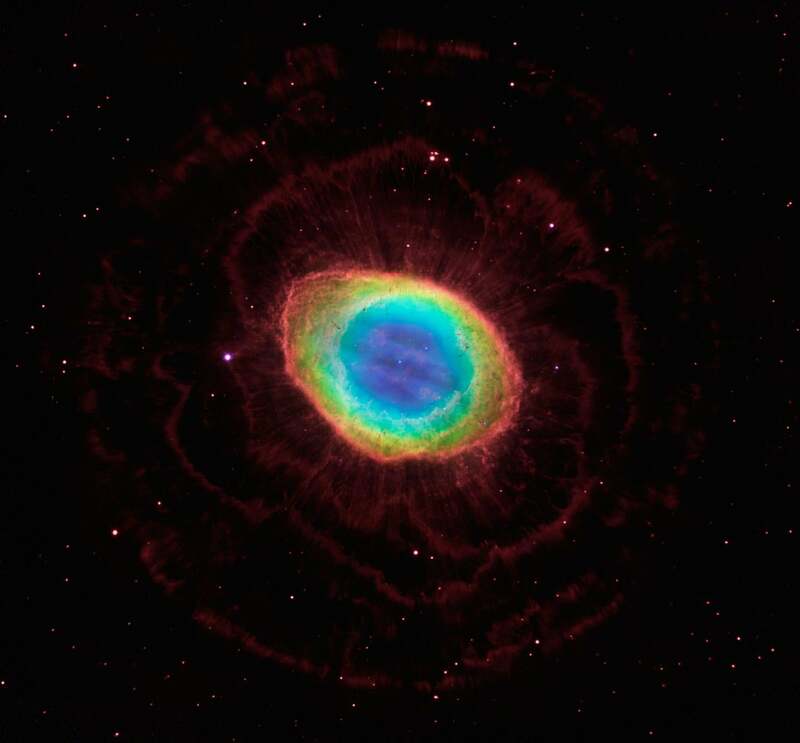 There’s even a planetary nebula in it (see the Ring Nebula and NGC 6302 entries below), which you can see as a blue glow to the left of center; that’s a dying star casting off its outer layers, much as the Sun will do six or seven billion years from now. When stars die, they do not go gently into that good night. Some explode, like Supernova 87A, while stars more like the Sun blow off their outer layers in episodic winds. 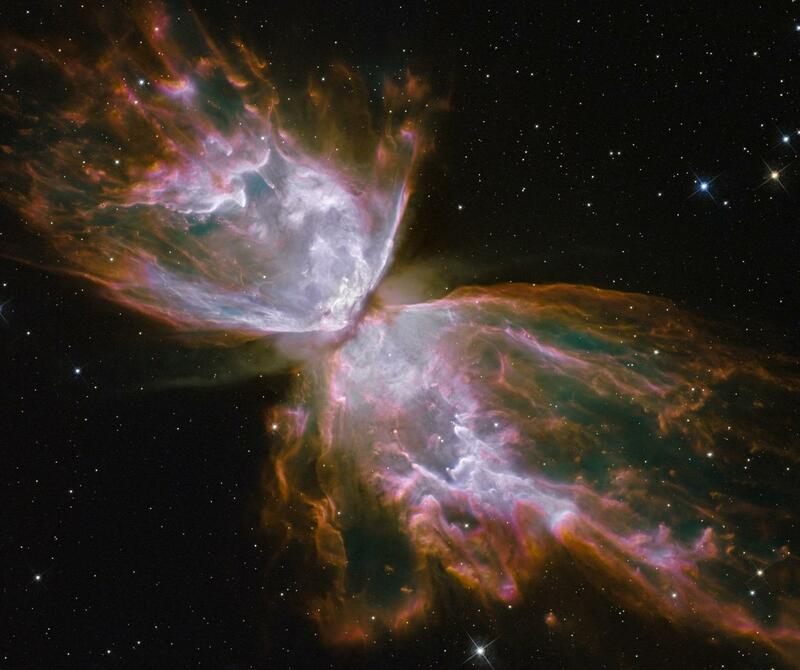 When these winds of gas collide, they light up, creating breathtaking planetary nebulae. NGC 6302 is a lovely example of such a beast. Nicknamed the Butterfly Nebula, it has a thick torus of dust around its equator, and two vast lobes of material racing away from the center. Studies of NGC 6302 were able to physically see the gas expanding over the several years that elapsed between subsequent Hubble images, allowing the age of the object: The lobes were ejected rapidly about 2,200 years ago at speeds of hundreds of kilometers per second, while the dusty ring was blown out over a longer period of time that ended shortly before the lobes formed. The Crab Nebula is one of the most ridiculously fantastic objects in the sky: The rapidly expanding debris from a star that blew itself to bits a millennium ago. Octillions of tons of gas blasted away from the shredded star at an appreciable fraction of the speed of light, and now the remnant (as it’s called) is six light-years across, 600 trillion kilometers. In this phenomenal Hubble image (using images combined with those from the Very Large Telescope), the different colors represent different elements in the gas. Blue is warm oxygen, red is oxygen that is even warmer (technically, the oxygen is in a higher energy state, what astronomers call “more excited”), and green is sulfur. Even though it’s 6,500 light-years away, it’s been observed for so long, and the debris expanding so rapidly, that over time the blobs have actually been seen to move. You can use that to calculate the expansion speed of the gas, and even how old it is! For my old job I wrote an educational activity for students to do just that, too. If there is one Hubble picture that stands above the rest, the single most iconic portrait of a celestial object perhaps ever, then it would be the Eagle Nebula, or M 16. You may know it as the Pillars of Creation. The name is apt. Each of these three “elephant trunks” is light years long; the biggest is almost 10 light-years stem to stern, nearly 100 trillion kilometers. All three have dense knots of gas and dust at their tips; the ultraviolet light from stars above them are eating away at them, and they protect the material “downstream”, like water flowing around a rock creating a sandbar. The knots are also forming new stars, so again the name is a good one. The original version of this was taken by my pal Jeff Hester in 1995, and this new version was taken in 2014, after better cameras were installed on Hubble by later Shuttle missions. The detail is stunning, and in fact changes over the two decades (!) between the two images shows the nebula has changed; the material being sculpted by the stars. And it’s due for a big change: Spitzer Space Telescope data suggest a supernova went off inside the Eagle, and the shock wave will wipe out the Pillars in the next few thousand years. Sic transit gloria aquila. Baby stars throw fairly epic tantrums. 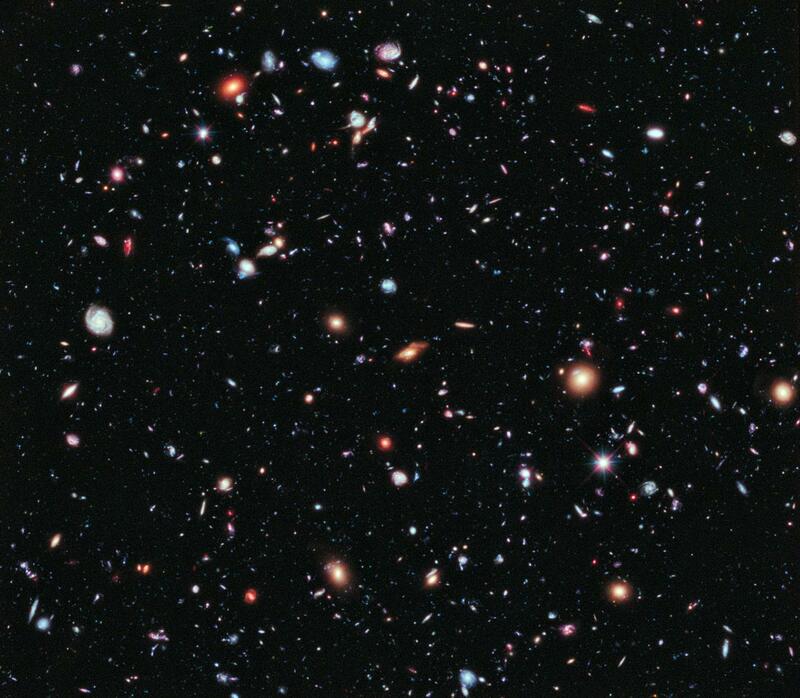 There are times I see a Hubble image and my jaw drops open. This is one of ‘em. This is a shot of a star-forming region in the vast and sprawling Carina Nebula, one of the largest in our galaxy. Like the Pillars of Creation, these are huge towers of gas and dust actively forming stars, the material being blown back by the fierce light of massive stars off the edge of the field of view here. But in this case we’re a little farther along in the process: the stars at the tips of these pillars have already been born. They still have a disk of material swirling around them, and complex magnetic fields. This all combines to blast material away from the stars along their axes; twin jets of matter that slams into the surrounding material and lights up. As the towers erode—you can see the gas streaming away from them in fine tendrils—they will reveal the newly born stars. The jet phenomenon only lasts a few thousand years, the blink of a cosmic eye, but is revealed in stunning detail by Hubble. I love a sprawling, majestic spiral galaxy, its arms flung wide, dotted with pink clumps of star-forming gas clouds. 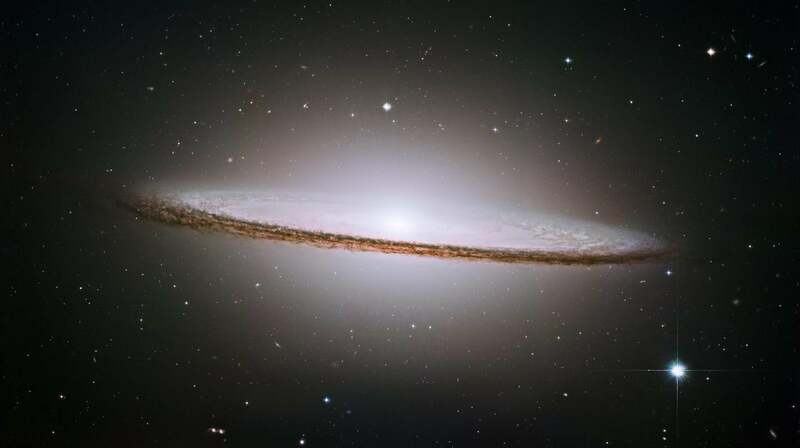 But then there’s the Sombrero Galaxy: A very nearly edge-on spiral, located about 30 million light-years away. At this low angle, the dust lanes stand out as its most striking and even its characterizing feature. The patchy spiral arms take on a more subtle appearance, and the huge spherical halo of stars surrounding its core add the final touch to its magical appearance. Interestingly, it’s smaller than our Milky Way, only 50,000 light-years across (we’re more than twice that broad), yet it’s estimated to have more than three times the mass of our galaxy. And hmmm … although we see the Sombrero edge-on, from there the Milky Way is seen at about a 45° angle. That would be awe-inspiring. I’m not sure who gets the better part of this deal. OK, another ring to rule them all. One of my favorite kind of Hubble image is where it observes a target with which I’m familiar from my own nights outside with my ‘scope. The Ring Nebula is a staple in any astronomer’s observing; it’s easy to find and a delightful object. It looks like a pale, ghostly smoke ring in the sky. … until you point a space telescope at it, at least. Then the incredible detail is revealed (caveat: the Hubble images were combined with those of the ground-based Large Binocular Telescope to create this picture). The Ring is another planetary nebula, a collision between winds cast off by a dying star. It was always thought to be a spherical shell because it’s so circular, but the Hubble observations proved it isn’t. See the little dark blobs all around the yellow and green parts? If the Ring were a sphere, they’d be distributed throughout, including across the middle. They’re not, which shows we’re looking down the long axis of a barrel-shaped object. Those radial spikes are real, too: They’re rays of light from the central star that are let through between dark, dense blobs of material, just like rays from the setting Sun! 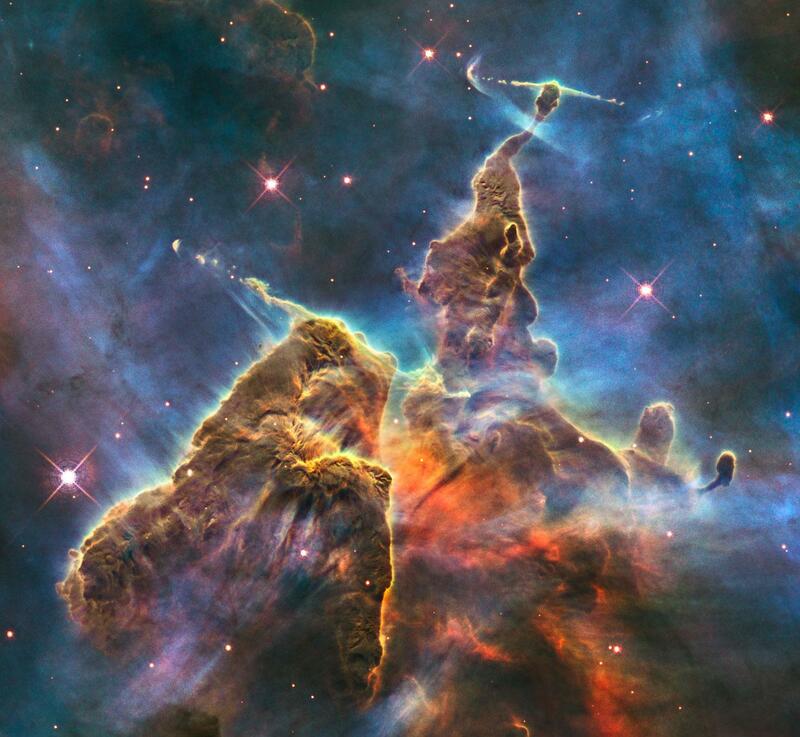 Probably not the highest resolution Hubble picture, but still, holy wow. So I promised 12½ pictures, and here you go: That shot above is the last thing you’d ever expect Hubble to photograph: the Sun. It’s true … kinda (hence the half credit). The kind of digital detectors originally used on Hubble’s main camera would get electrons trapped in them, which needed to be cleaned off. A blast of ultraviolet light does that well, and the Sun is a very bright UV source. Hubble isn’t allowed to point anywhere near the Sun, so the team came up with an unusual solution: Mount a small mirror that stuck up out of the telescope’s main body. Pointing backward, they’d aim Hubble directly away from the Sun, allowing sunlight to pour into the small periscope and into the detectors. 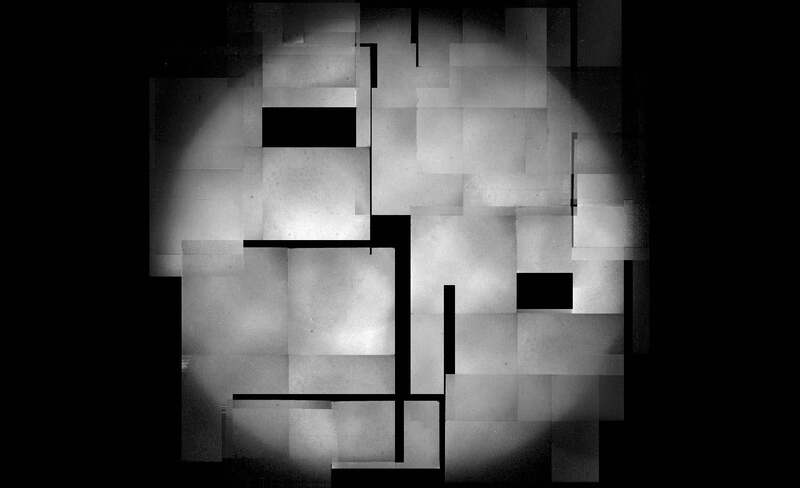 It worked wonderfully, and the images they made were assembled into that mosaic. That’s nuts, but hey, whatever works, right? You can read the whole story at my friend Glenn Schneider’s website. He actually assembled that image. Many of the photos you see by Hubble were processed and created by my old friend Zolt Levay, a master at taking the noisy, messy data from the telescope and turning them into artistic masterpieces. He was one of four contributing editors on a book of Hubble images published by Taschen called Expanding Universe, and it is truly extraordinary. If you love these pictures, you need this book. *Correction, April 22, 2015, at 17:30 UTC: I originally misstated that the cloud of dust around V838 Monocerotis can be seen to physically expand, but that’s not the case; it’s an illusion created as the light pulse from the star moves through it. The text has also been updated to add that the merging star idea is one hypothesis for this object; the dust may be left over from the stars’ formation. Reading journal papers, I lean toward the merging star eruption idea myself. But perhaps we’ll learn differently as more observations are made.